Weekend Obsession: Introducing ‘Work’ by Zari Faisal! Zari Faisal’s latest collection campaign pays tribute to the all star working girls. Always instilling life and frolic into her theme collections, Zari features every day real young women that identify with her trendy and comfortable clothes. The props aside the line’s uplifting, suitable for day time, easy to wear designs immediately appeal to the ‘every girl. Cute short hemlines, sailor stripes with some ethnic fun and colored tights are perfect for the creative stylista who likes to make a statement while more traditional embroideries on summer warm hues and natural whites play in for the broad spectrum. A modern frame defines most of the clean cuts because you don’t want fussy dupattas and too much fabric that gets easily wrinkled through the day interfering with your schedule. The working girl typically wears the same outfit for up to nine hours, a fact more labels should consider when creating high street pret wear. One should look as polished and poised when they end their day as they did when they started out in the morning. Pure cottons, Chikans, and some boho tie dyes make up the fabric mainframe and as always the collection comprises exclusively limited edition pieces so there’s no danger of looking like your colleague’s twin! Take a look at some of the brilliant women who represent the Zari Faisal Working Girl. The ‘Work’ line will be available online shortly via Zari Faisal’s upcoming solo E-Store as well as through an open house exhibition in Karachi and at her stockists L’atelier in Lahore and Islamabad from mid-June. What's in Store? 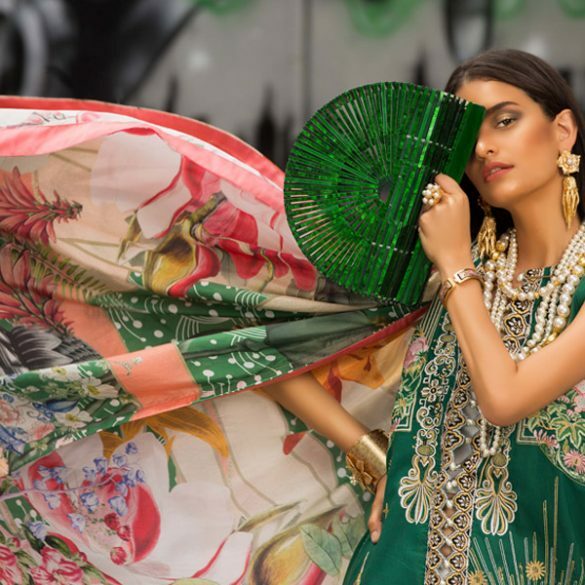 : Nida Azwer New Pret Designs & 'Urban Jungle' Details!